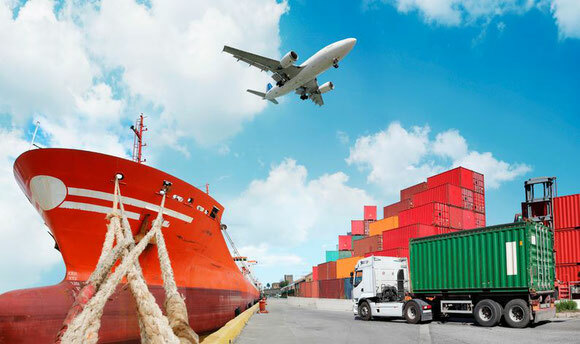 Air Freight: Getting the Upper Hand on Sea Freight? In 2016 and up until mid-last year the ocean going vessels were having that sinking experience as many shippers jumped ship and opted more and more for air freight. The problem was compounded by port strikes, even longer transit times and the Hanjin bankruptcy which shocked the industry. Air freight - in the meantime its own worst enemy? Airlines and airports were only too happy to take up the slack left by less sea freight and more air freight. But things changed rapidly during the second six months of 2017. Air freight boomed further, rates went up, backlogs became daily occurrence and pharmaceutical and other temperature sensitive cargo was more and more happy to fly instead of sail. Complacency is a dangerous factor in any business. This is no different for air freight. The peak season started already in June last year and to-date has still not tapered off. Some analysts are of the opinion that due to the continued cargo boom and buoyant western economies, that 2018 will be a twelve month peak season. Carriers presently cannot handle the volumes on offer, airports are facing totally congested freight areas and road feeder services are failing due to long waiting times at airport warehouse doors as well as lack of drivers due to demand. Is all of this falling back into the ocean going vessels hands? Airline cargo bosses can basically sit back and pick-and-choose what cargo they’ll accept. Two years ago, they were fighting to keep their feet on the ground. Nobody seems worried at the present time that the boom will slow down or that supply will dry up. It was Hong Kong-based Hactl’s CEO, Mark Whitehead who made a point at last year’s Munich air show when he told his audience not to be complacent as market changes can happen quickly and be quite very damaging for the industry. It’s all history now, but when the massive Hanjin shipping line went bankrupt there was an upheaval in the ocean trade lanes and since then many shippers are still very wary about further disasters. So far, so good, nothing more has happened and ocean vessels, despite continued low yields, are filling up again. Ocean freight has also suffered somewhat from a shift by some shippers to overland (train) transport from the Far East. Not a danger (yet) for air freight, but somewhat worrying for the sea freight industry in the long run. Everyone knows that the air freight market is a cyclical and one where the downdraught has always happened. However, so far during the past 24 months, this has not come about. On the contrary, it continues to rise in leaps and bounds and capacity is becoming very short with yields going up. Is this leading to complacency? Hopefully not.